◆ Best tool for accurate electrical component operation. ◆ Replaceable and changeable black tips is made of PPS plastic. ◆ There are two screws on both sides for you to easily replace the tweezers tip. ◆ Perfect tool for adjusting electronic parts, video cameras, radio equipments, computers, wireless equipments, TV/VCR or communication equipments. ◆ This driver has cap to protect the tip and can be brought easily with the pocket clip. 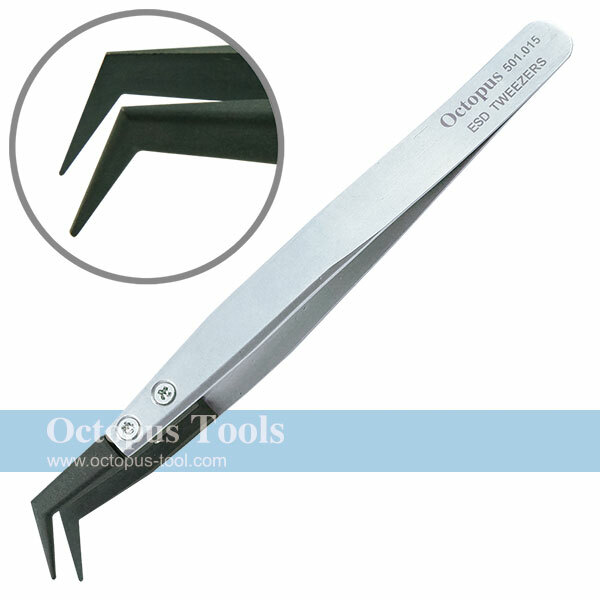 ◆ Ratchet handles allow smooth clipping and quick release of locking. ® 2012 S-TURBO D.I.Y. & HARDWARE CO., LTD. All Rights Reserved.